Located in the Andaman sea, the Yadana gas field is around 60km offshore from Myanmar. Total has signed new contracts to develop the Badamyar field and installing an additional compression platform. 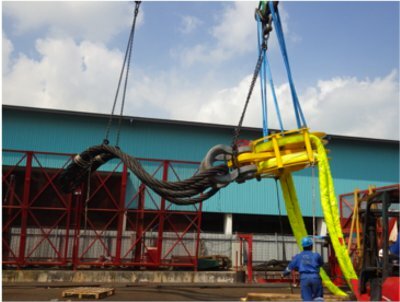 KTL Offshore supplied KimFlex Slings for the lifting of the topsides. ONGC plans additional development of its Vasai East Field in the Arabian Sea off western India. This project, due to be completed by December 2018, is expected to add 1.83 million metric tons (2.01 million tons) of incremental oil production of 1.971 bcm (70 bcf) of gas by 2030. The platform for the Maharaja Lela South (MLS) Project offshore Brunei will be located in water depths of 206 feet (63 meters) in the field. 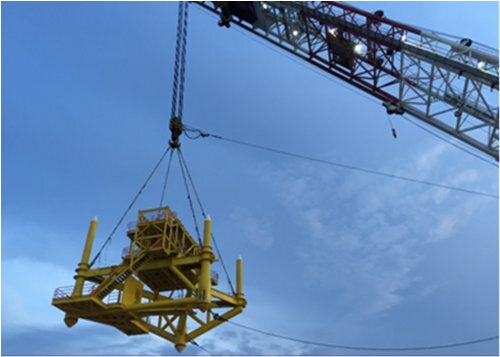 KTL Offshore supplied KimFlex slings to lift up the 1,200 tons jacket for the platform. be installed at depths of up to 10,000 feet. An economical vessel transit speed is expected to be 12 knots with a top speed of 14 knots. KTL Offshore supplied RopeBlock 2915MT Stinger & Strong back blocks and RopeBlock Tension block on board the vessel.